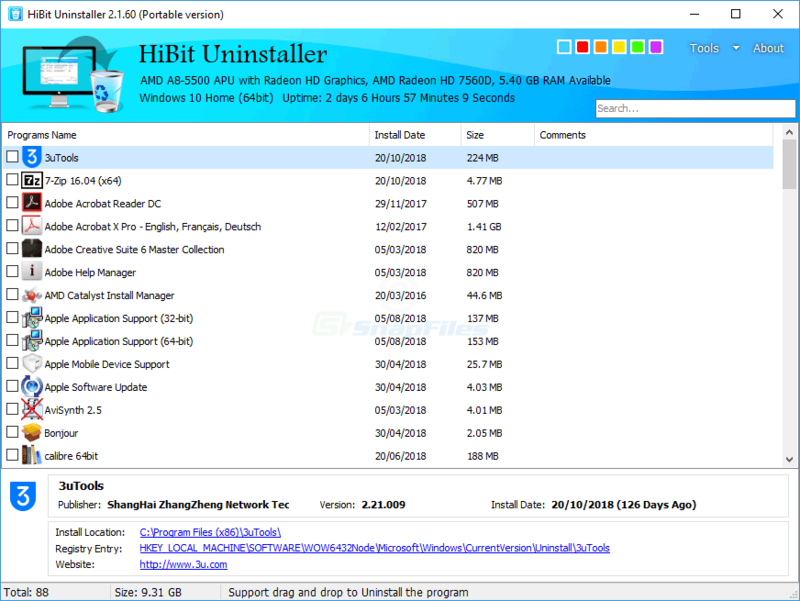 Absolute Uninstaller offers an alternative to the standard Windows Add/Remove (Programs and Features) applet. It provides a user friendly interface that automatically highlights newly added programs and allows you to sort them... Offers to install promotional, third party software. IObit Uninstaller is an alternative to the standard Windows Add/Remove applet. It offers a categorized overview of your applications, a batch uninstall option and an Advanced Uninstall Mode. In Advanced Mode, the program runs... Offers to install promotional, third party software. Advanced Uninstaller PRO lets you uninstall software, manage startup programs, remove invalid Start Menu entries, clean your registry, remove Internet tracks and more. The program also enables you to view, and optionally... Offers to install promotional, third party software.